In a former post, we list ten great examples of visual poetry. There, we mention a few journals you might wish to read for the very best in the form. We thought we'd list these fabulous venues for the would-be visual poet. If you are a wordsmith ready to brave the visual in order to hazard expressive significance in an age of image-textual saturation—then these prestigious journals and publishers are looking for you. poems exploring handwriting, abstraction, illustration, asemic and pansemic writing, visual poetry and material process, colour, scribbling, scrawlings, crossings out, ink, forgotten notes, found text, interaction between paper and pen, and pencil, geometric poems, inarticulate poems, minimalism, collage, toilet wall writing. No works produced on a computer. Recent visual poets published there include Vilde Valerie Bjerke Torset and Simon Brown. Ably managed by Ander Monson, The Diagram likes its writing weirdly schematic. Recent visual poets published in Diagram include Ryan Mihaly and Sarah J. Sloat. Refreshingly rogue, this print and online journal wants to be that velvet pillow on which all things weird get displayed. But what is weird? Visual, concrete, conceptual, language, flarf, found poems, hybrid / cross genre audio poetry is weird and we adore that. In addition to those noted above, other recent visual poets published in Five:To:One include Jerrod Schwarz and David Felix. Send in a photograph, video, or sound clip of the image, song, or moment accompanied by a piece of writing – of any length, in any style or form – that brings us into your moment of awareness. Recent visual poets published in Ghost Proposal include Joyelle McSweeney, Helen Hofling and Izzy Oneiric. A poetry blog curated by Ian Whistle featuring, what they call, visual/concrete poetry and assorted other oddities,” h& is a reliable source for quality visuals. Whether you call it “Hand” or “Hampersand,” you’ll want to send h& your best material. If accepted, it will join the ranks alongside that of Shloka Shankar, Jeff Bagato, and Alyse Knorr. Editor extrordinaire, Natalie Solmer, edits the poetry and art of this journal to function as a healing salve for all the woes of our usual, a-poetic existence. The Indianapolis Review is a madwoman, awake at 3am, obsessively reading and writing poems. Come join her, if you dare. A staple for poetry comics, NR showcases the very best in visual poetry thanks to the formidable stewardship of editor-in-chief Samuel Rutter and Visual Art Editor Joanna Currey and Comics Editor: Joshua Moore. 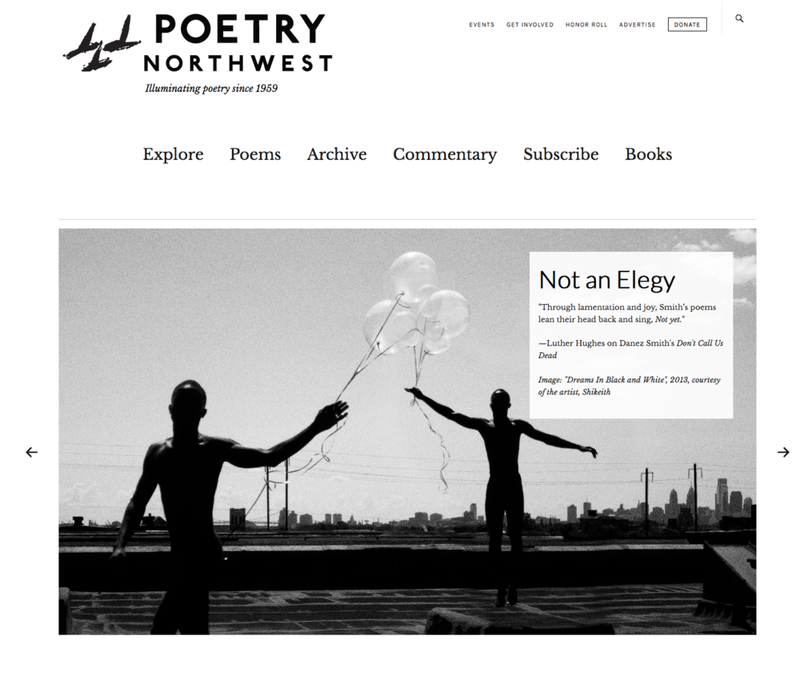 Editors, Aaron Barrell and Erin Malone maintain a quality archive of visual poems in this Seattle-based organ of literary culture since 1959. Profound examples of visual poetry have been published in Poetry Northwest by Quenton Baker, Jessy Randall, and Colleen Louise Barry. 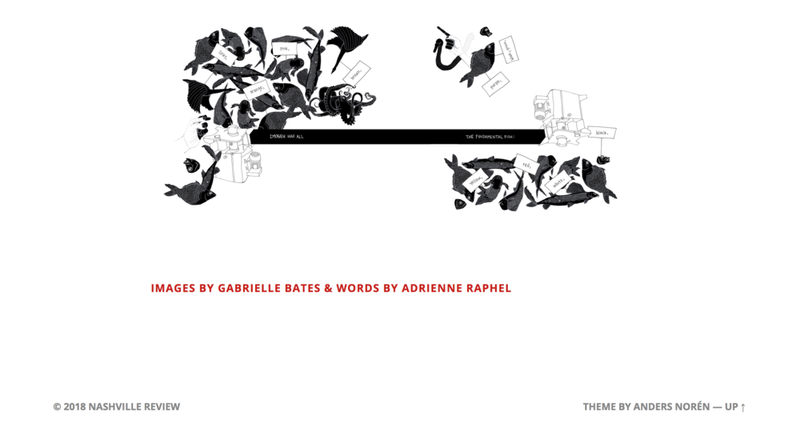 We were delighted to see one of Rattle’s recent tribute issues go to visual poetry. 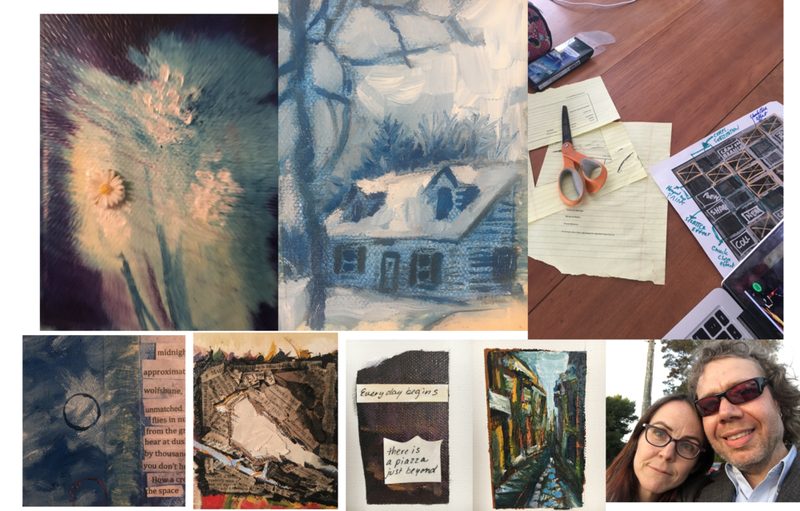 A durable online source of poetry, Rattle has embraced visual elements as part of its poetic fare, going so far as to host an ekphrastic challenge. Recent visual poetry in TIMBER may be found by Brooke Larson and Lisa Folkmire. 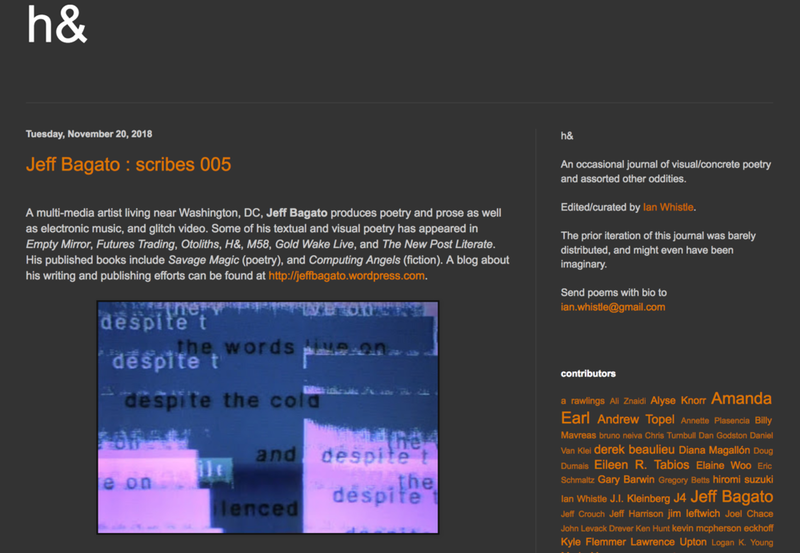 TYPO is a digital poetry journal edited by Adam Clay and Matthew Henriksen. Despite TYPO’s spare aesthetic (few illustrations, no author bios), the editors embrace a range of poetry—from the conventionally lineated to the experimental. Although they do not mention visual poetry in their editorial guidelines, we are confident that they are open to it because we had some of our own work published in their most recent issue. 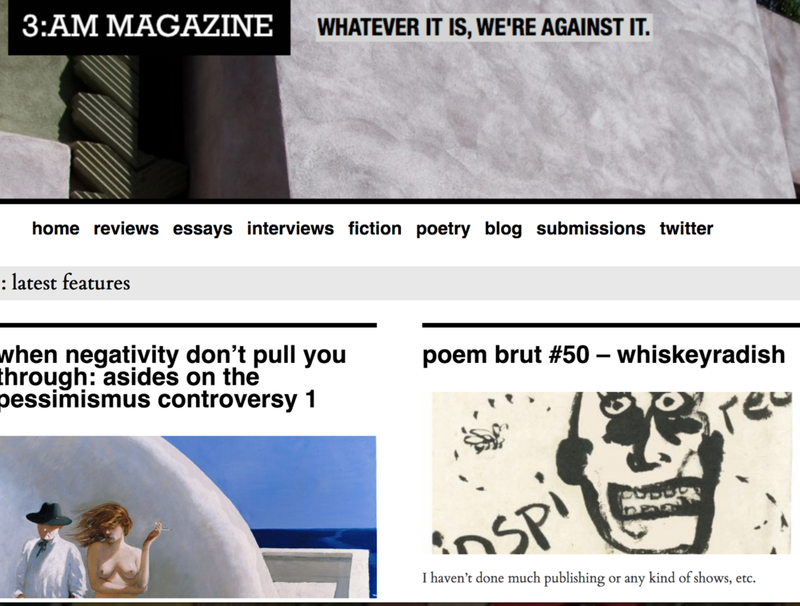 An eclectic online journal, Word for Word caters to the visual. As you can see, they have recently published a fair number of visual poetry, by such writers as Brian Strang, Drew B. David, Emmitt Conklin, Mario José Cervantes, Andrew Brenza, Mark Young, Jim Andrews, Andrew Topel, David Felix, Clay Thistleton, Jeff Bagato, and Adriána Kóbor and József Bíró.